A lot of scary topics come up on college campuses, but none may be more terrifying than the idea of financial independence. To those who are paying their way through college without the help of a parent or guardian, kudos to you; you deserve to be applauded. For the rest of us, working 20–30 hours a week can only bring in so much money a month, so having our parents help cover housing, tuition, groceries, gas, or whatever else is our saving grace. We are not financially independent just yet, and we have no right to pretend like we are or that we are ready to be. 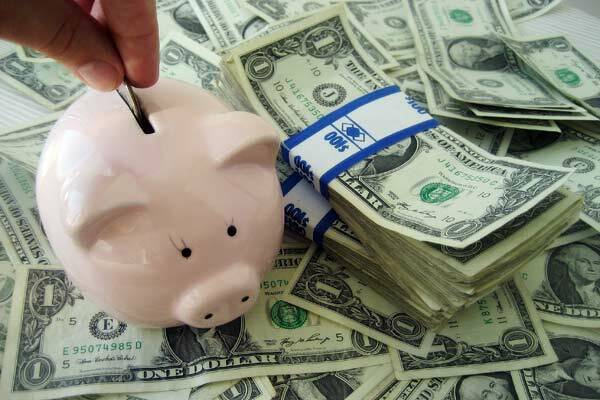 Before one can be financially independent, one must first be financially savvy. Just the thought of trying to figure out how to save, allocate, and budget meager finances sounds like a nightmare. It may not be a fun topic to spend your time on, especially when it feels like you have so little to work with, but it’s not something you should avoid either. To help ease the pain, I’ve created a little acronym to help you remember five basic steps to becoming financially savvy, and I did it using something we all love: tacos. The first step to managing money is to understand where on earth it disappears to so dang quick. Little things are what will get you every time. Random $7 purchases add up quicker than you realize, and when you combine that with the obviously pricy things, such as food and rent, your paycheck will evaporate before you even get the chance to think about what you want (or need) to do with your money. Keep track of how much you spend and where you spend it. Saving receipts or documenting the amounts in the Notes app on your smartphone are two super easy ways to track your spending. Try to remember and do this for a least a month; the results may surprise you. Those of you who are like me could end up discovering you have an unhealthy addiction to eating at Panera Bread that you were completely unaware of. If you end every paycheck cycle with $1.37 in the bank and a couple of dimes under your couch, you’re doing something wrong. Money is like a tank of gas, not a mug of coffee: you should never finish it all off before you fill it back up again. There will be times when unexpected, unavoidable expenses will deplete your bank account, but it is dangerous to get in the habit of running on financial fumes unless you absolutely must. Pick an amount of money to setback from each paycheck and do your best to stick to it. For those being paid by the hour instead of by salary, a percentage from each paycheck might be a better avenue to take. It may feel impossible at first, but as your capital safety net begins to grow, so will your confidence in your ability to accumulate cash. Now that you know how you typically spend your money, it’s time to start cutting ties with unnecessary purchases. It may help to think of things in relation to one another instead of in relationship to dollar bills. For example, four trips to the movies, a school week’s worth of coffee, and dinner at Chili’s is about the same amount of money as a new Fitbit or Fossil watch. In many cases, your financial woes are not a matter of if you have the money, but rather a matter of where you decide to put it. Consider the value of the things you want to buy in regards to your life personally, not just by the number on the price tag. Whether you’re the guy with all the latest gadgets who claims he never has enough money to hang out with his friends, or the girl who goes out every weekend but complains she never has enough money for a new outfit, be open to the idea of sacrificing one thing for another. When I say overestimate everything, what I really mean is overestimate your expenses, not your income. Never, ever include potential overtime or bonuses into your budget. You cannot control whether this money will actually come in or not, so it is better to be happily surprised than disappointingly broke. The same thing applies to regular expenses. Stuff like rent and Netflix subscriptions may not be fluctuating in cost, but other things can really jump around. Give yourself a logical cushion of safety for costs that you can’t precisely predict. This also includes leaving room for life’s inevitable late fees, flat tires, and haywire technology. You will never regret overestimating expenses. Contrary to what you may be thinking, this last point does not negate all the others. There will be seasons in your life where you have to do more saving and responsible spending than fun spending, and that’s okay. College will probably be a long season of such financial behavior. However, you shouldn’t be afraid to occasionally reward yourself for your hard work, either at your job, in the classroom, or in your endeavors to become financially savvy. The next time you go into Bath & Body Works, go ahead and buy two signature products to get yourself that third one for free. Order that delicious queso from Buffalo Wild Wings and enjoy every bite of it. It really is okay to spend your hard earned money—so long as you do it wisely, responsibly, and in increments your budget can afford. This is why you do the other four things first, so you are able to enjoy the fruits of your labor. I could have easily left the acronym at “TACO,” but I truly believe that spending has its place in financial stability too. Even as “broke college kids,” as we sometimes refer to ourselves as, there is a need to be sensible with what we do have, rather than excuse ourselves from responsibility because of what we don’t have. There is still much more that lies between being financially savvy and being financially independent, but TACOS will get you well on your way. 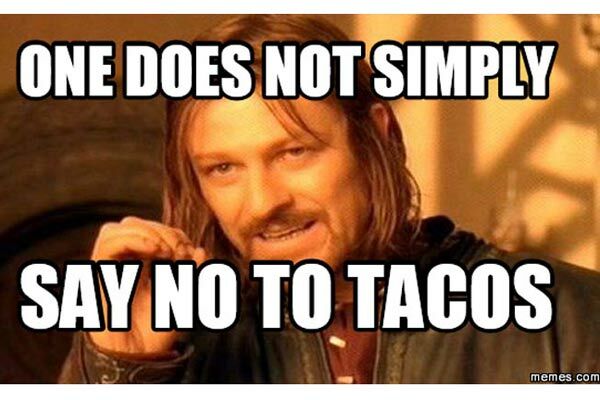 If all else fails, just remind yourself that without TACOS, there will be no money to buy tacos. I bet that’s enough motivation to get you started in the right direction.